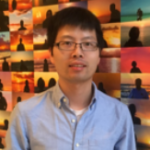 Dr. Gao is an ORISE postdoctoral research fellow at NETL. He received his B.S (2010) in chemical engineering from Xiamen University, M.S (2013) in chemical engineering from Zhejiang University and Ph.D (2016) in chemical engineering from Iowa State University. His research focuses on computational modeling, multiphase flow, energy & environment, biological transport simulation and Algal Biotechnology. He is currently working on development and application of a CFD simulation of a circulating fluidized bed for catalytic upgrading of biomass pyrolysis products.